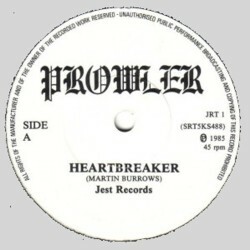 – Prowler from Essex actually made a minor name of themselves because of their inclusion on the commercially successful compilation “Brute Force” (LP, MCA, 1980) with the track ‘Gotta Get Back to You’. 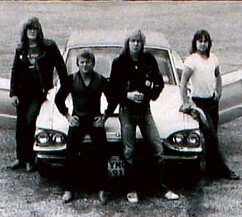 – Back in 1977 they recorded two tracks ‘Riding High’ and ‘Finance Blues’ which were meant to be released a single. 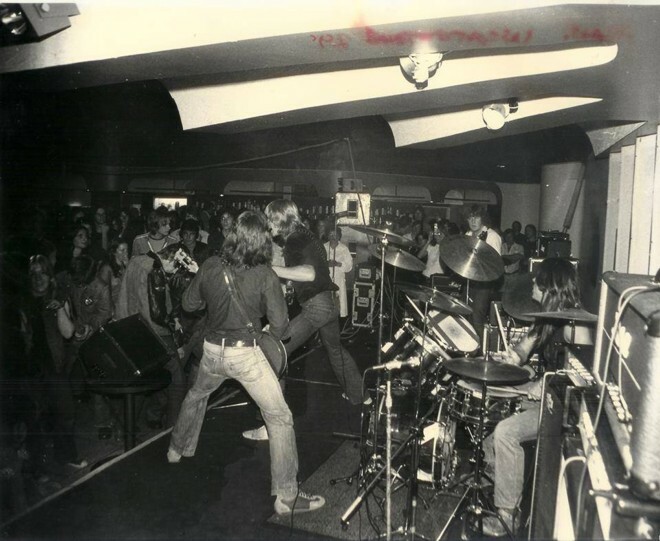 A few more demo recordings from various sessions between 1979-1984 are known to exist. 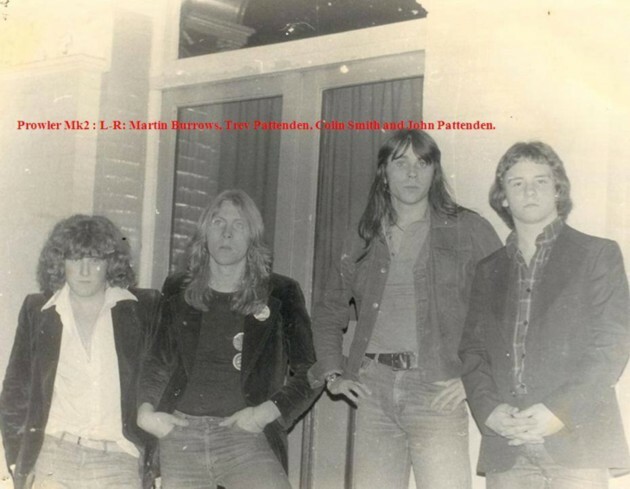 – Roughly one year later, in 1982, the name reverts back to Prowler and the band released this lone single below before they call it quits in 1984 or 1985. 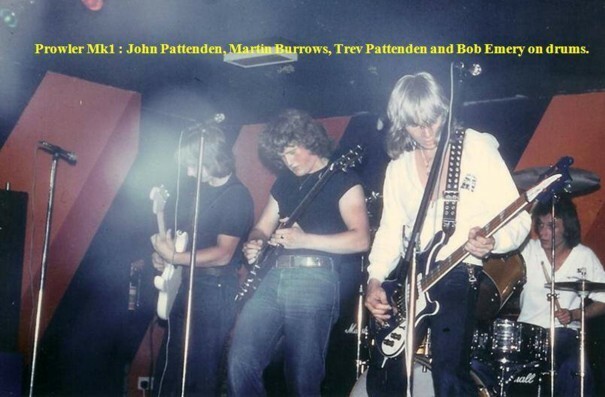 – Trev Pattenden (v,b) and John Pattenden (g) reformed Prowler in 1991 with new members Jon Burchell (g) and Jamie Bryant (d). This line-up briefly toured the UK before signing a contract to perform and tour in the Middle East. 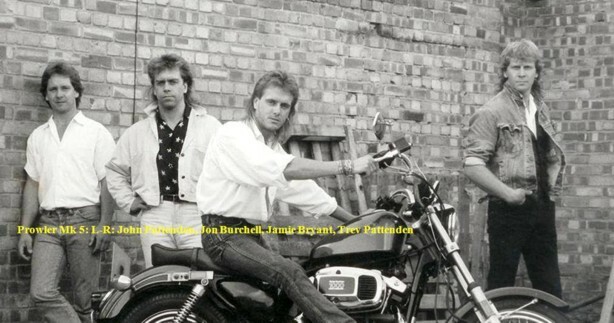 This band was the very last version of Prowler and was based in Dubai, UAE for several months before disbanding in 1992.